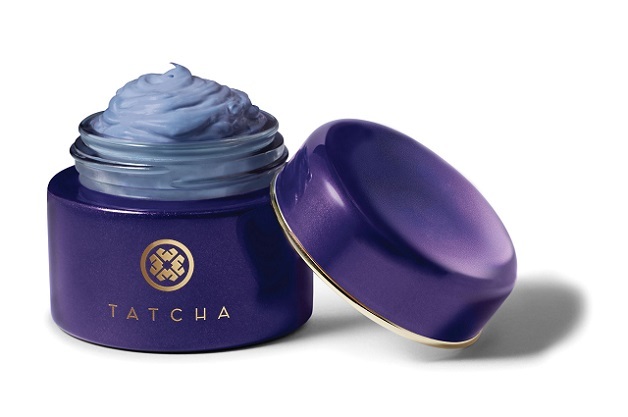 TATCHA - The Indigo Collection introduces the new INDIGO Soothing Triple Recovery Cream inspired by the Japaneses Samurai's nourishing botanicals power. Hundreds of years ago, Japan's noble samurai were among the first to discover the soothing benefits of indigo. The timeless healing and anti-inflammatory powers of natural Japanese Indigo have appeared throughout history. The powerful bontanical has made its way into the modern world through the Indigo Collection, combined here with Colloidal Oatmeal and Sophora Japonica extract to create anti-aging INDIGO Soothing Triple Recovery Cream. This formula of nourishing botanicals calms inflamed, irritated and even sensitive skin for a healthy, vibrant complexion. This new product is ideal for any skin type, especially sensitive skin or skin showing the symptoms of dermatitis or eczema. It reduces inflammation, the primary cause of aging at the cellular level. The powerful extracts also reduces irritation and redness, offering anti-aging benefits for even the most sensitive skin. Significant scientific research shows that natural Japanese Indigo is remarkably effective at relieving symptoms and may be an effective alternative to steroids and other prescription treatments.